* The fragrance kicks off with a blend of bergamot, lavender, woods, and spices. 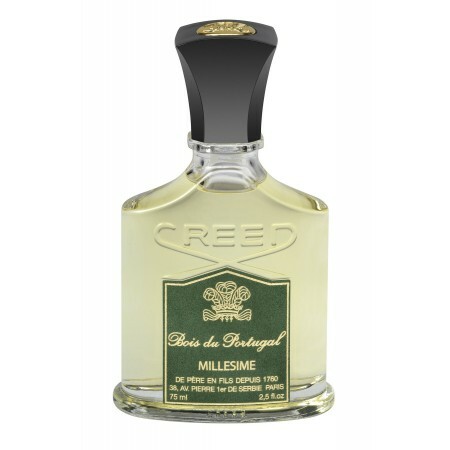 * Bois means woods, and this scent was inspired by the woods of Portugal. * What you smell on top is what you get for most of the span as this scent is mostly linear, until the base comes in which is often after 8-12 hours. * The bergamot and lavender eventually fade as the sandalwood and cedar become the main focus. A little spice is left and there is a light grass smell hazed on top. Summary: Bois Du Portugal has an old school and distinguished, manly feel to it. Some refer to it as a 70s/80s powerhouse and I can totally see that as it is strong and projects. Wear this to an office if you are a CEO or want to feel like one. It’s one of those scents that gives off the smell of “old money.” I couldn’t imagine anyone under the age of 30 wearing this, but I can be wrong. If you happen to have a bottle of Tom Ford Private Blends Bois Rouge, this is similar, but longer-lasting and has more depth. I know this because I skin tested the two back-to-back for weeks before making a decision to buy a bottle a few years ago. With everything in my fragrance collection, I find myself reaching for BDP quite often and the more than half empty bottle is a testament to that. Yes, very old-school manly. It’s a fragrance that I don’t wear because it makes me uncomfortable, too masculine. I’m sure a younger person could wear this. But, like you, when I smell it, I think of an older man (an older and very wealthy man). I know you can rock a lot of masculines – so it’s interesting to see one that you can’t/don’t want to. It’s the same way with me and feminines – there are a lot I can wear but some are just.. too much.